We envision a community with a safe, comprehensive, low-carbon transportation system that complements smart land use planning, focusing growth and vitality inward toward existing infrastructure, neighborhoods, and public services. Our community will develop infrastructure and new growth that is adaptable and in the direction of existing services, while promoting a bold “multi-modal” transportation network that empowers people to walk, bike, and bus and is an efficient, affordable, and sustainable way to meet our transportation needs. 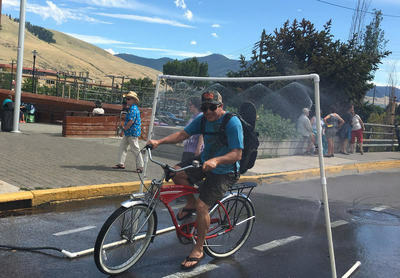 ​We're working with Missoula In Motion and other community partners to ensure climate is part of our community's growth and transportation planning processes and policy. 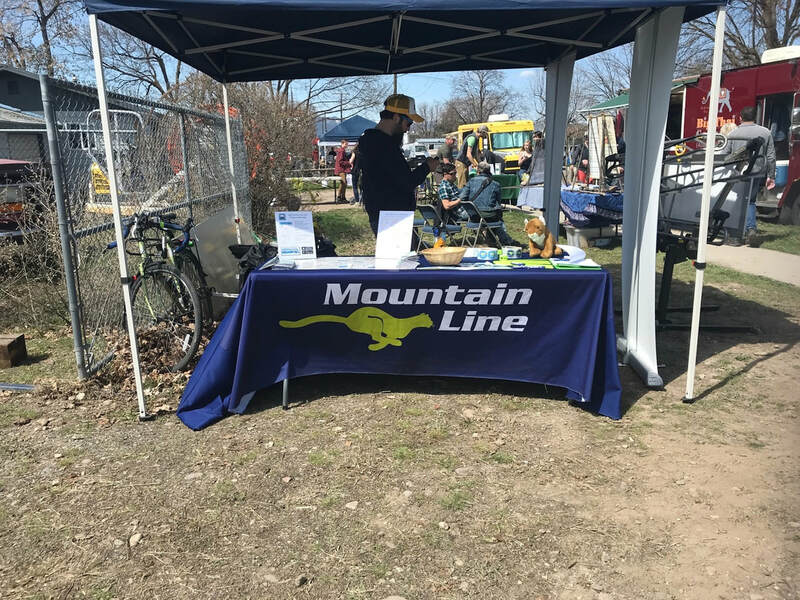 Mountain Line held a series of open house listening sessions in fall 2017 to share ideas for where our community bus transit system should head. 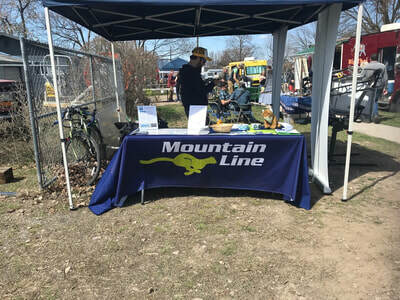 Read the Missoula Current article here and learn more on the Mountain Line website. Have you heard of our Smart Growth - Active Transportation project? Click here to see what we've been up to. Work with the City of Missoula, Missoula in Motion (MiM), Bike Walk Alliance Missoula (BWAM), Missoula Institute for Sustainable Transportation (MIST), the Montana Department of Transportation (MDT), University of Montana, Missoula Urban Transportation District/Mountain Line, and others to determine the current benchmark of total VMT in Missoula. Measure the greenhouse gas emissions associated with community VMT. Establish a target goal and year, as well as interim goals, for VMT reduction. Assist transportation planning entities with policies and strategies that will work towards the VMT reduction goal. Working with partners, develop and implement a public education campaign that explains the importance of reducing VMT, it's relationship to climate change, and ways to utilize sustainable transportation. Ensure it is creative fun, and engaging. Partner with MiM, BWAM, Free Cycles, Adventure Cycling, myriad bike shops, University of Montana, etc. to increase ease of owning and renting bikes. Celebrate and encourage active transportation. Help showcase key events that feature biking and walking options: Sunday streets, Bike Walk Bus Week, River City Roots and other downtown festivals. Encourage Mountain Line to continue upgrades and increased capacity, including additional late night, Sunday and holiday bus service. Improve transit infrastructure to industry best practices, like pullouts, shelters at bus stops, and pedestrian crossings. Continue to build support with community Fare-Free partners to extend Mountain Line pilot beyond three years, making fare-free permanent. Develop outreach specific to poor air quality time periods (wildfire smoke in summer, inversions in winter) to encourage bus use during these times. Continue to coordinate with Associated Students of University of Montana (ASUM) transportation to ensure optimal transit service city-wide. Advocate for public transportation support in state and federal legislation and policy. Encourage a transition to electric buses, with identifiable renewable energy available or purchased (to fuel the electricity for the buses). Advocate for bus transit systems that are aligned with new smart growth and redevelopment (see #4 below). Support pedestrian-scale design that encourages non-motorized transportation and social interaction, especially in areas of the City that are now predominantly vehicle-oriented. 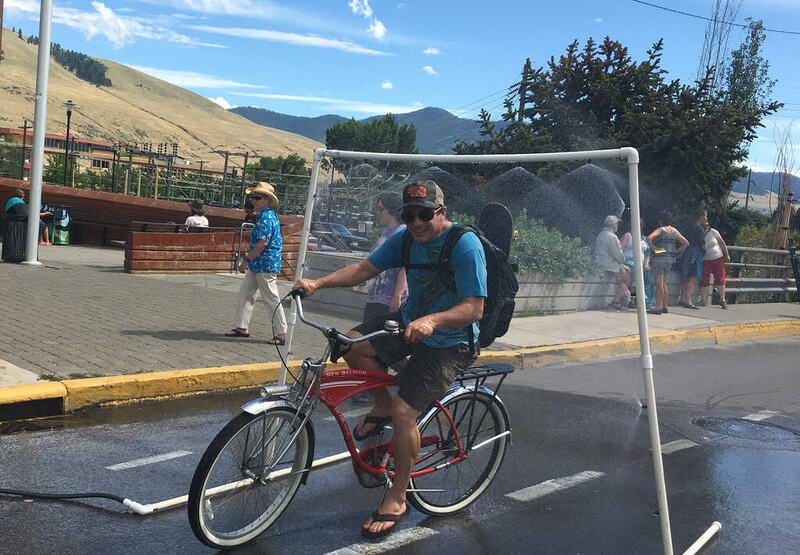 Work with the City of Missoula and our Metropolitan Planning Organization to implement the transportation objectives of the Our Missoula growth plan. Work with the Montana Department of Transportation (MDT) to revise traffic models to include recent and projected demographic shifts, current traffic trends and climate threats and impacts. Work to obtain designation of Trails as Transportation corridors, to provide access to funding and improved decision making. Develop design standards (such as a prescription street width) that promote the safety of bikers and pedestrians and decrease conflicts with motor vehicles. Fund maintenance and improvement of infrastructure in preparation for impacts from climate change (e.g. trucking hubs, roundabouts, street design, lane width considerations, Front-Main St. conversion). 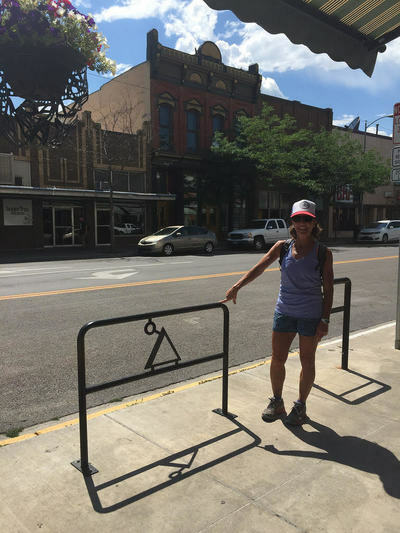 Create a non-motorized street in Missoula's downtown area. Engage transit-oriented development (TOD) strategies, including researching land use and zoning that supports TOD, concentrating public funding on TOD corridors, and developing private sector and major employer attraction/investment. Support “focus inward” growth plan approach by encouraging land-use strategies such as urban in-fill/redevelopment, mixed-use rezoning, Accessory Dwelling Units (ADUs), and protection of open space and agricultural land along the rural-urban interface. Work with elected officials, parking commission and others to create an updated parking management strategy that balances financial, environmental, and social benefits, including improved access/synergy to biking, walking, bus, etc. Help develop analysis of parking fee structure and revise according to management strategy; further reinvest parking revenues into sustainable transportation infrastructure and incentives. Support parking policy changes including creation of districts, address parking meters, disincentives for large box stores with tons of parking, and increased impact fees for parking. 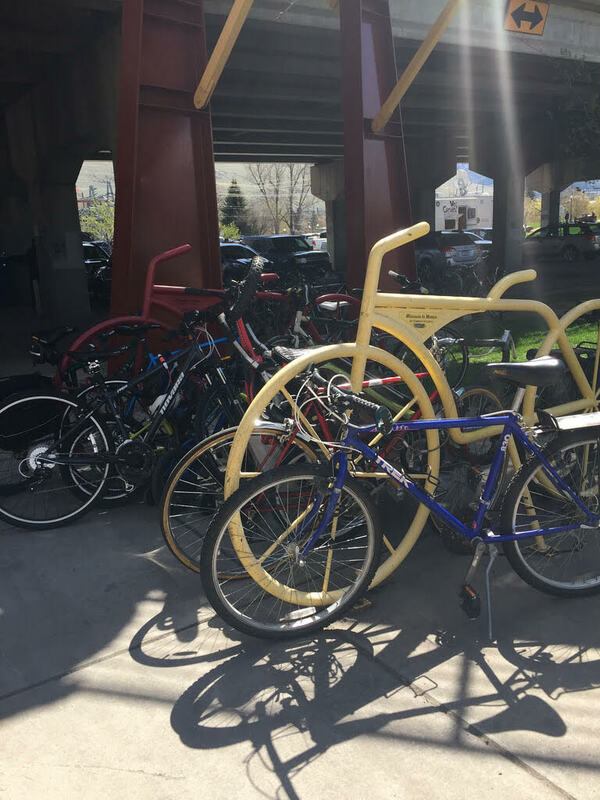 We talked Transportation at our February 2019 monthly meetup - check out Anna's recap on our blog. 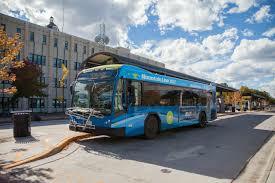 Mountain Line will be adding six new electric buses to its fleet this summer--way to go! September 2017: Walk & Roll Week combined Sunday Streets, One Less Car Day, Cycles of Change and more! Thanks for commuting sustainably. March 2017. Climate Smart released our community's first ever Greenhouse Gas Emissions Inventory and Transportation is the largest piece of the pie. Yikes. 37% of our emissions come from driving and flying, with a little from our rail system. Check it out here. September 2016. You may have noticed we have combined Transportation and Smart Growth. Overlapping goals, alignment and expert opinion led us to do this! 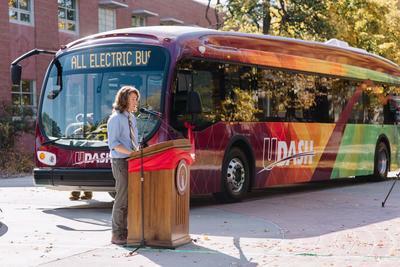 We're excited to see the new electric buses on the UM campus - go ASUM Transportation! The complete Bitterroot Trail--from Missoula to Hamilton--opened July 16th! ​Missoula is No. 4 in the US for commuting by bike! Read more here​. What's smart, accessible to all, and promotes health and environmental safety? Read about Sustainable Infrastructure after the Automobile Age. The key to fighting climate change and mortality? Walkable Cities. ​Read more in this article from Grist. And in case you needed it, 50(!) more reasons to want more walkable streets. How can a car-free life lead to a more experience based life? Read about a Minneapolis man's experience.